Module Two: Effective Communication: Your Key to Success! 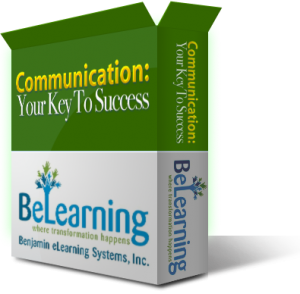 The second module in the BeLearning System, Effective Communication: Your Key to Success is designed to develop one of the most important life skills that every individual will need to be successful in the workplace and in life. The three lessons in Module Two – help the learner to understand the power of having good communication skills, how to recognize and understand the different communication styles and lastly how effective communication can help to improve their customer service. Communicating with Your Customers helps the learner to understand why it is important to effectively communicate with customers.